Well, they weren’t exactly in our backyard, but they were in Madison WI at Olin Park. It was great to enter this free International event and see & hear the various cultures you would expect at an Olympic park. In fact, tug of war was in the Olympics from 1900 until 1920. The athletes were serious and primed to go into “battle” with their varied blocky footwear and tree sap covered hands. Apparently, they put tree sap on their hands to aid the grip on the ropes. 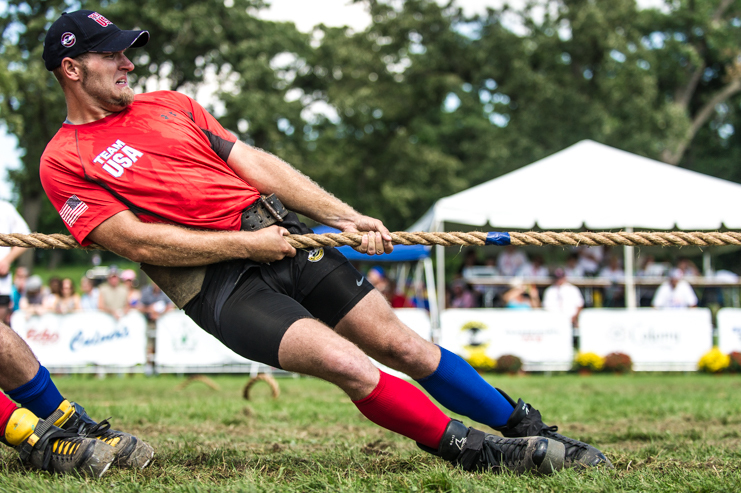 It’s impressive to watch the rhythm and teamwork of the tug of war teams. Some of the teams have very noticeable breathing and cheering rhythms as well. It’s a great fast-paced spectator sport – go see it if you ever get the chance! How many shots did you and Nick get? Craig Judd is looking over my shoulder and we wanna know!! Great shots! Thank you for taking them.